Supreme Air provides Air Conditioning, Heating and Plumbing Services, Repair, Installation, Maintenance, and Tune Up in Severna Park, MD and surrounding areas. Thank you for taking the time to leave a review. We look forward to working with you in the future! On arrival checked thermostat was calling for cooling. Measured EWP,LWP,EWT,LWT,return temperature, supply temperature, and amps, voltage. Inspected electrical connections, filter is clean, blower wheel is clean, evaporator coil is clean, I used a vacuum to clean condensate drain line, and I also tested condensate pump. Unit is operating normal at this time. On arrival checked thermostat was calling for cooling. Measured return temperature, supply temperature, amps, voltage,voltage absorption system rated for 70mfd, actual reading 71.9. Inspected electrical connections, blower wheel is clean, filter is clean,condenser coil is clean, and I used a vacuum to clean condensate drain line. Unit is operating normal at this time. On arrival installed float switch, tested it and unit is operating normal at this time. Showed costumer operations of thermostat and connected it to WiFi . Had to called tech support to go over my infinity touch app . Also checked condensate pump because installers told costumer that they needed to come back for it but it is working properly . Upon arrival I shut off power to both units. Shut off flow center and removed water from piping to release pressure to prevent water leak. Removed defective flow center pump and installed new one. Used same water to pressurize loop to flow center then bled air out of pump. Used hose fittings to flush out remaining air. Opened up flow center and pressurized loop to 60psi. Wired new pump then tested operation of pumps and checked amp draw. Shut off power again to replace float switch. Used switch from truck stock because I wasnâ€™t given one. Tested operation of switch then returned power to system. Ran heat from thermostat and checked operation again. Burped Pump a final time then measured unit parameters. Unit operating normal at this time with 27 degree delta air temp. 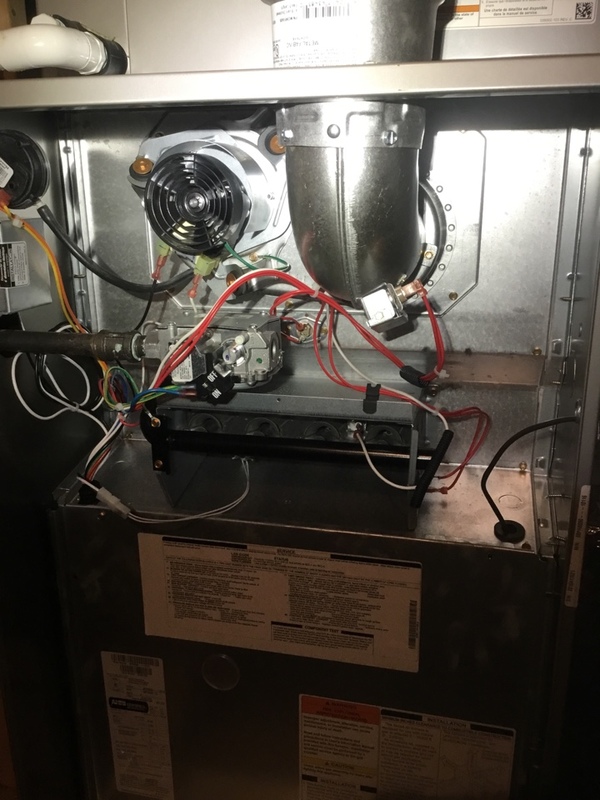 Fall pm on 03/04/19 On arrival set unit to call for heat measured supply and return air temp measured voltage and amps inspected electrical connections checked drain and cleaned checked filters and replaced unit tested unit operating normal at this time. Started inspection on both RTUs . Then went to RE michaels and picked up filters and 1 belt . Completed inspection on systems and put equipment information into system . Unit is off on low pressure . System has no refrigerant in it and system is R22 . Recommend replacement , called office and let them know and scheduled for a time for sales to come out . On arrival we checked thermostat was calling for heat, checked EWP, LWP,EWT,LWT, electrical connections, contactor, amps, voltage, replaced filter(size 413). Water pressure was low, we added water(50psi). Unit is working correctly. Called Lauren and had to leave a voicemail. Called studio and spoke with Chris. He informed me that they were suspecting a problem yesterday but today heat is working and they havenâ€™t seen a problem. He said he was going to contact Lauren as well to confirm if they need service. 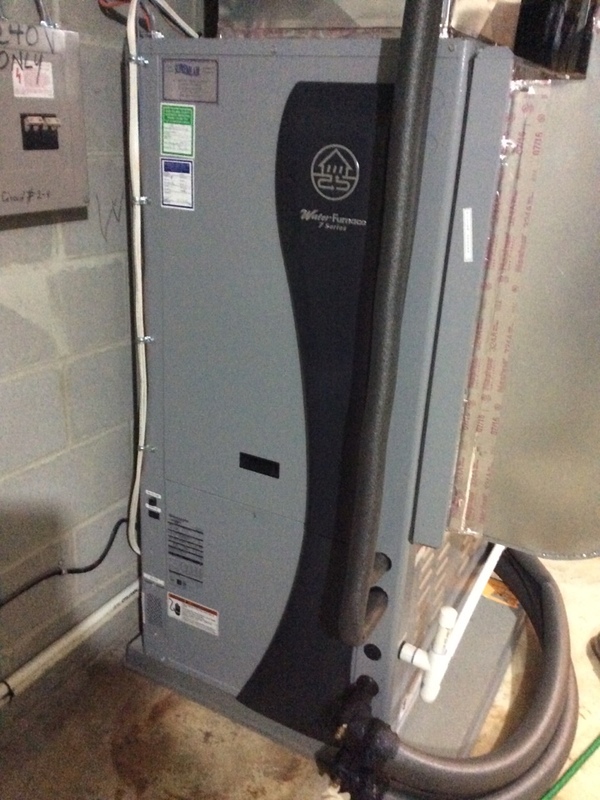 To drain down boiler , remove baseboard and cover from wall , cut down pipe 28â€ re drill the hole for the pipe to go into the basement and reconnect in basement , customer will cut down baseboard wall plate and cover for baseboard to size. Will return Monday to complete work customer paid $233.00 , down will pay the rest at completion of the job. Fall pm on 01/04/19 On arrival set unit to call for heat measured supply and return air temp measured voltage and amps inspected electrical connections checked drain and cleaned checked filter and cleaned recommended duct cleaning and Uv lights also blower motor capacitor is low riding need to be replaced unit operating normal at this time. 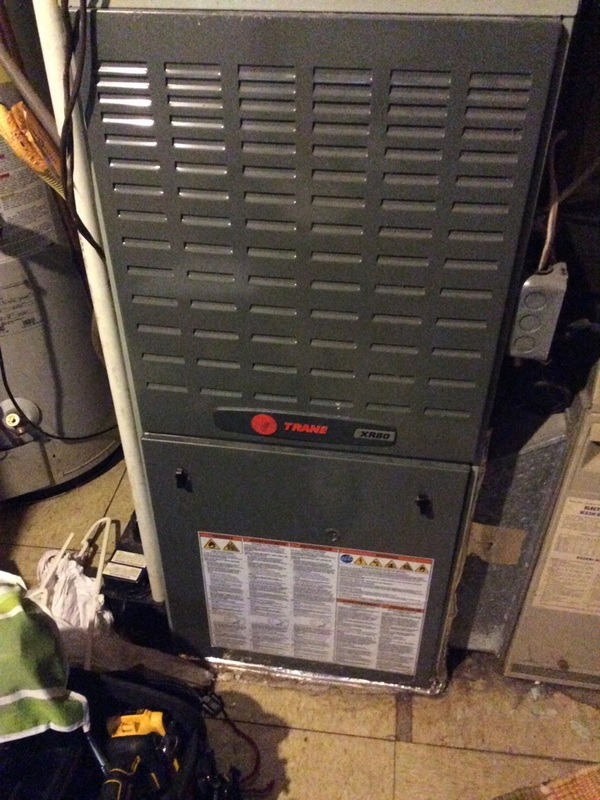 Fall pm on 11/28/18 On arrival set unit to call for heat measured supply and return air temp measured voltage and amps inspected electrical connections checked drain and cleaned checked filter and replaced unit operating normal at this time. 7SERIES GEO WATER FURNACE FALL PM SEVERNA PARK MD. 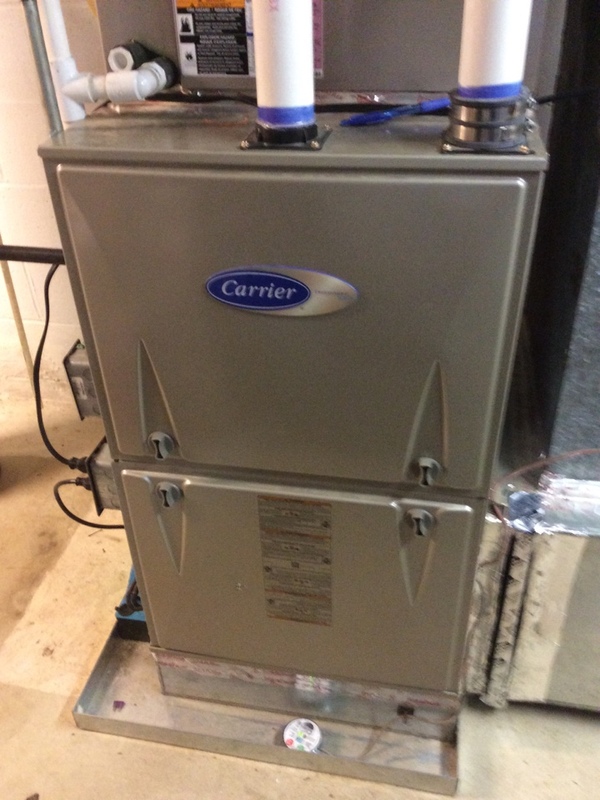 Fall maintained on a Carrier furnace in Severna Park ,MD.